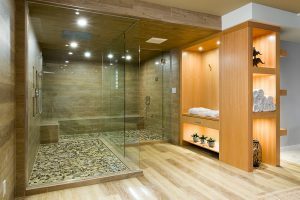 Picture this: coming home to a richly appointed home that’s immersed in serene, natural surroundings – and that has its own private spa. “That home would be Huntington Homes’ nature-inspired show home at 356 Willow Creek Rd. in Bridgwater Trails,” says Rob Swan of Huntington Homes. That calming feel starts with the 2,517 sq. ft. walkout bungalow’s exterior, which features natural, weathered castle stone. Inside, a great room with high ceilings, huge windows and spectacular lighting was designed to serve as a place of renewal and a great place to entertain. 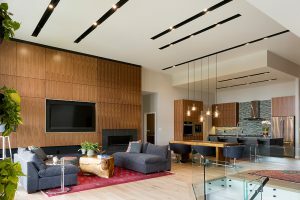 Spectacular rows of recessed LED lighting on the ceiling above provide stylish illumination at night, while a huge sunroom adjacent to the main living area provides an area to relax and access to a deck that overlooks the lake behind the home. Meanwhile, the modern, well-appointed chef style kitchen and dining room together with the great room are ready to provide the function and style required for your family to enjoy and entertain guests effortlessly. “The kitchen is a striking yet functional space with a walk-through pantry that connects to a huge mud/laundry room that will allow you to bring groceries directly in to the kitchen,” says Swan. As spectacular as the great room is, the master suite has been designed as a retreat for the owners. The kids’ wing has a unique design that’s extremely functional – large bedrooms and a unique shared bathroom arrangement. Head downstairs to the expansive walkout basement via a stunning open-riser staircase, and you will find an incredible media area and an entertainment area with wet bar. 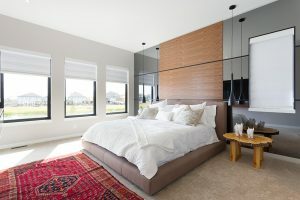 As per usual, 356 Willow Creek will also feature an impeccable floor plan and will be built to Huntington’s standard specifications, the highest of any builder in Winnipeg. Huntington Homes. Built Like No Other. Written by Todd Lewys. Photography by Michael Roberts. 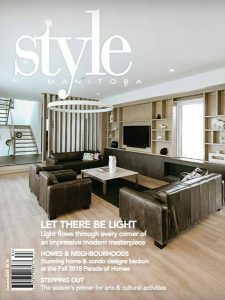 Previously published in Style Manitoba, Autumn 2018.